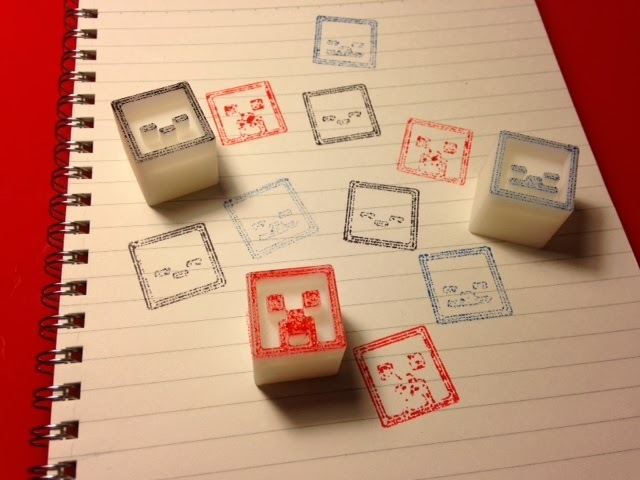 Creeper, zombie, and skeleton head blocks for your Minecraft stamping needs. Settings: Afinia .2mm normal, 1 hour and 2 minutes for all three head stampers. Stuff you might want to change: Maybe find some stamp ink pads that aren't seven years old.